The Vox AD "Chrome" Series was introduced at the Winter NAMM music trade show in January 2004. Starting in 2002, Vox had considerable success with the Valvetronix "blue diamond grill cloth" line that featured the AD60VT, AD60VTX, AD120VT, AD120VTX, along with the AD60VTH and AD120VTH amp heads. However, these "blue grill" models were somewhat expensive, with retail prices often exceeding $1000. With the AD "Chrome" Series amps, Vox wished to make Valvetronix amps both more affordable and, with edgier styling, more attractive to a youthful market. First shipments of the AD30VT occured in late July 2004, with the AD15VT, AD50VT, and AD100VT/VTH models following after. The AD Series was discontinued by Vox in the fall of 2008 when it was replaced by the VT Valvetronix Series. The power amp section of all four models of the AD series used the patented Vox Valvetronix Valve Reactor circuit Vox introduced several years earlier in the "blue grill" Valvetronix series amps. The concept of the circuit is to use a 12AX7 preamp tube in an unusual way - as the heart of a one watt power amp. 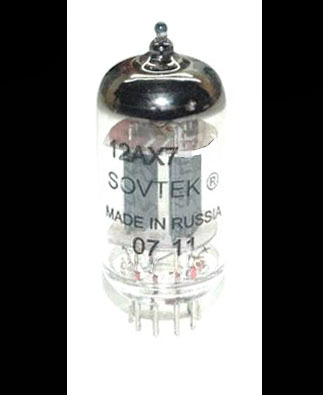 The one watt output from this 12AX7 then supplies a solid state power amp to achieve the final 15 watt (AD15VT), 30 watt (AD30VT), 50 watt (AD50VT), or 100 watt (AD100VT) output. A rotary control on the top panel selected between a number of different "amp models." A 60s era Vox amp might have a "Class A" output stage, but a "black face" or "UK70s" amp might be "Class AB." The Valvetronix circuitry would actually reconfigure itself to either "Class A" or Class "AB" to match the circuitry of the selected amp model. The preamp, or control section of the AD series is the same on the AD15VT, AD30VT, AD50VT, and AD100VT amplifiers. The circuitry for the preamp section was derived from Korg's REMS (Resonant structure and Electronic circuit Modeling System) guitar effects processors. The AD Series amps offer 11 amp models. These amp models are selectable from a rotary control on the left side of the top panel. The amp models are: Boutique Clean, Boutique Overdrive, Tweed 4x10, Black 2x12, AC-15, AC30 Top Boost, UK 70s, UK 80s, UK Modern, Nu Metal, and US Hi Gain. The AD series of amps also offer eleven pedal type effects that are selectable from a rotary control on the right side of the control panel. The effects included are: Auto Wah, Compressor, Compressor+Phaser, Compressor+Chorus, Chorus+Delay, Chorus+Reverb, Flanger+Reverb, Tremolo+Reverb, Rotary+Reverb, Delay, and Reverb. The AD Series of amps also allowed the guitarist to store two "tone patches" in the memory of the amp. The programmer would remember the amp model and effect selected and allow you to access these patches instantly either through buttons on the control panel or from the optional VFS2 foot switch. A "Line out/Headphone" jack allowed you to play through head phones without the speaker. Vox also suggested that this jack could be used as a "line out" jack to feed your amp to the PA, but the speaker in the amp would still be muted, rendering the "line out" feature to be useless in my opinion. A rotary "Power Level" control allowed the amp to be operated from as low as one watt to the full rated power of the amp. An optional VFS2 two button foot switch allows for remote switching of effects and programs. Following a "chrome" theme, a chrome plated Vox logo and Valvetronix model plate adorn the amp. 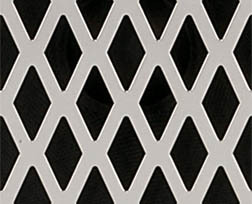 A sixteen gauge chrome plated steel grill protects the speaker. The Vox AD100VTH amp head was offered with a V412BK 4x12 cabinet. This amp head was designed to accept 8 and 16 ohm impedances only, and would fail quite easily if subjected to a 4 ohm load. The AD series amps were produced by Vox in the Orient. Additional info on the AD models may be accessed from links at the bottom of this page. Some Vox fans did not like the modern chrome plated cosmetics of the AD Series and prefer the more classic Vox look. At the time that these amps were on the market, Vox specialist North Coast Music offered the Vox AD30VT, AD50VT, and Vox AD100VT with an aftermarket retrofit to traditional brown, black, or blue diamond Vox grill cloth, along with white grill pipng and gold "T" bar.